That's how the ancient Greeks felt about gorgons. So much so that the name they gave them actually translates as "dreadful." 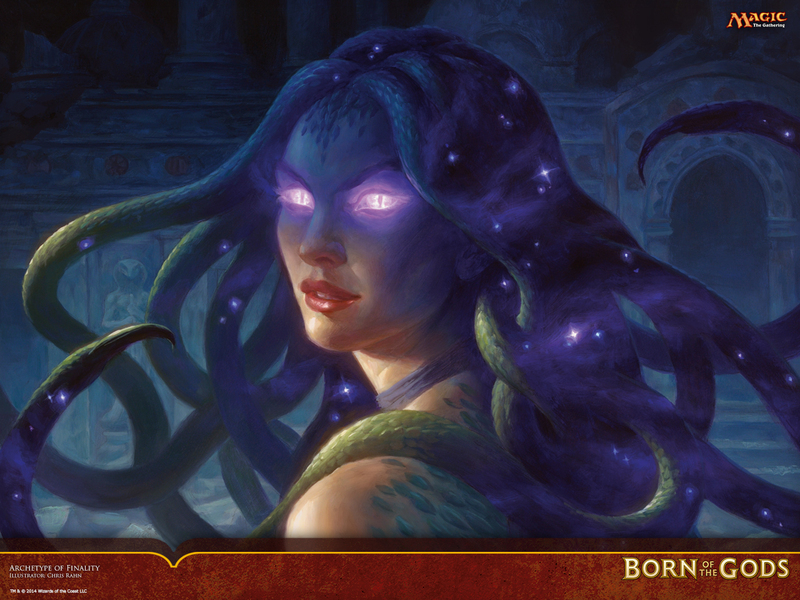 In Magic, Gorgons are just as dreadful because they either have deathtouch or a very deathtouchy ability. While in myth there were only three gorgons, sisters actually, Magic makes Gorgon a creature subtype, just like Minotaur and Cyclops (there are also multiple Cerberuses). While we aren't limited to just three gorgons like the Greeks, we still have some pretty unique Gorgons. On Theros, folks better keep their eyes down. Seems to me like there are gorgons everywhere! 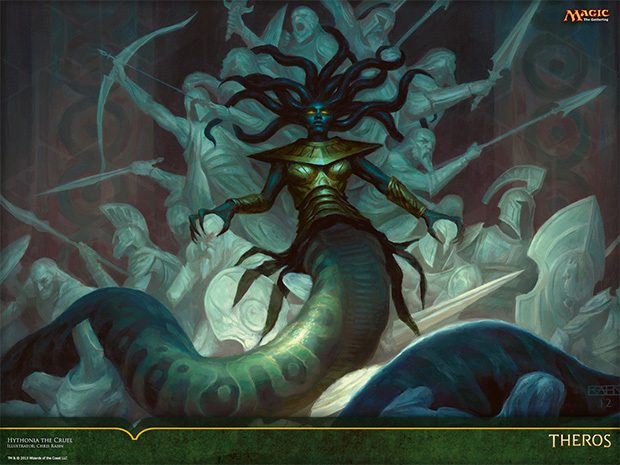 And there's something different about them; Theros gorgons have the lower body of a snake! That certainly would make it easier to tell them apart from your average femme fatale. This is all ancient history, though. What we really want to see is the new Born of the Gods Gorgon, right? Well, here she is. Don't be fooled by her pretty face, she is pretty powerful! This art is so beautiful! Chris Rahn really nailed it! I’d show it to you bigger, but you can actually see it EXTRA huge here because it’s today’s wallpaper! And for those of you dreaming about Medusa, I can only point you here.